Celebros is a global leader in search, sales, and navigation tools for online retailers. It became Magento's official search partner - ECG was accepted for both Magento 2 and 1.x. Through intelligent algorithms, Celebros website search easily understands all customer behavior. 28720 Roadside Drive Suite 198, Agoura Hills, California 91301, United States. View Map. 925 De La Vina St. Suite 102, Santa Barbara, California 93101, United States. View Map. München Airport-Center Terminalstrasse Mitte 18, München, Bayern 85356, Germany. View Map. 1 rue de la Haye BP 12910 – Le Dôme, ROISSY CDG cédex, Paris 95731, France. View Map. Medius House LG 2 Sheraton Street, London, W1F 8BH, United Kingdom. View Map. Celebros is a global leader in search, sales, and navigation tools for online retailers. 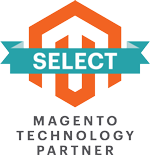 It became Magento’s official search partner - ECG was accepted for both Magento 2 and 1.x. Through intelligent algorithms, Celebros website search easily understands all customer behavior. In addition, it delivers great results, results in higher conversion rates, increases AOV and traffic significantly. Collaborate with Celebros to analyze and understand the psychology of all customer behavior, then there are reasonable marketing campaigns for the target audience.